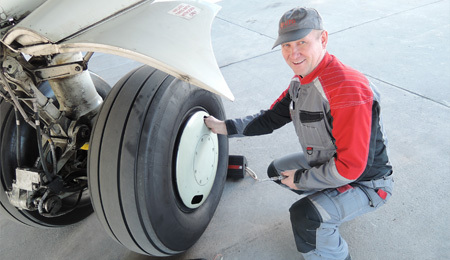 Aircraft MRO is the field of responsibility of the UTG maintenance and engineering department. From the beginning of 2013 the company has been actively developing this area of activity and purchasing specialized equipment. Up to and excluding 4000 FH, 3000 FC, 3 YRS checks or their equivalents. Up to and excluding 7500 FH / 3000FC / 36 Month or their equivalents. Up to and excluding 6000FH / 3000FC / 15 MO or their equivalents. Up to and excluding 750 FH/300FC /90 Days or their equivalents. Up to and excluding A checks and tasks non included in letter Check, up to and including 1400FH / 6 Months, defect rectification, minor repairs and modifications, engine replacement, propeller replacement. Up to and including 750 FH/300FC /90 Days or their equivalents. Up to and excluding 6500FH, 2000FC, 72MO or their equivalents. ⃰ ⃰ MAINTENANCE LEVEL for Boeing 777-200/300: Excluding carrying out Maintenance Tasks, required hangar environment in cold weather period or in the other periods due to required protection against specific environmental conditions/weather inclements (temperature, weather, dust protection and others) and the incapacity of fully installation of this aircraft type in the hangar at Domodedovo airport. Maintenance rating for aircraft’ components is specified in CCL.